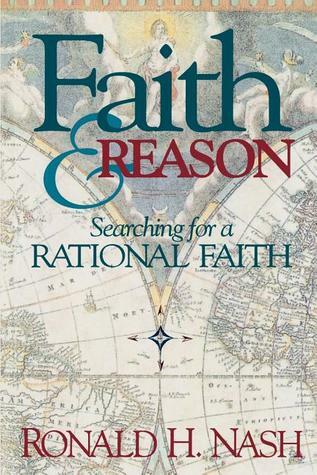 The following is from Ronald Nash’s intro to presuppositional apologetics, Faith and Reason. Thanks to Joel Tay for transcribing the passage. Theists have more resources at their disposal than they often realize. One oft-neglected argument for God’s existence invites us to reflect about the ground of truth. So far as I know, this argument makes its first appearance in Book 2 of Augustine’s On the Freedom of the Will, written in A.D. 395. There is at least one clue that Thomas Aquinas thought the line of reasoning sound. Its two major modern proponents appear to be Gordon H. Clark and Alvin Plantinga. Since Clark and Plantinga present different versions of the argument, that address audiences with somewhat different philosophical interests, I am going to look at the argument from both contemporary perspectives. This makes sense because it is sometimes easier to understand a difficult argument when approaching it from two different directions. While Clark’s presentation is simpler, it may puzzle readers who are unaccustomed to talking about truth apart from propositions, the carriers of truth. Plantinga’s version of the argument is more in tune with the contemporary way in which philosophers typically think of truth. 1. “Truth exists.” Clark establishes this point by reminding us of the self-defeating nature of any attempt to deny the existence of truth. Since skepticism is false, there must be knowledge; and if there is knowledge, there must exist the object of knowledge, namely truth. 2. “Truth is immutable.” It is impossible for truth to change. As Clark says, “Truth must be unchangeable. What is true today always has been and always will be true.” For Clark, all true propositions are eternal and immutable truths. He has no use for pragmatic views of truth that imply that what is true today may be false tomorrow. If truth changes, then pragmatism will be false tomorrow-if, indeed, it could ever be true. Truth itself is unaffected by the fact that sentences like “I am now typing” are sometimes true and usually false. Since I’ll present a rather long argument in defense of this claim later in this chapter, I’ll assume that this possible problem can be answered and move on to Clark’s next point. 3. “Truth is eternal.” It would be self-contradictory to deny the eternity of truth. If the world will never cease to exist, it is true that the world will never cease to exist. If the world will someday perish, then that is true. But truth itself will abide even though every created thing should perish. But suppose someone asks, “what if truth itself should perish?” Then it would still be true that truth had perished. Any denial of the eternity of truth turns out to be an affirmation of its eternity. To summarize Clark’s argument thus far, truth exists and is both eternal and immutable. Furthermore, truth can exist only in some mind. 5. “Truth is superior to the human mind.” By this, Clark means that by its very nature, truth cannot be subjective and individualistic. Humans know certain truths that are not only necessary but universal. While these truths are immutable, the human mind is changeable. Even though beliefs vary from one person to another, truth itself cannot change. Moreover, the human mind does not stand in judgment of truth: rather truth judges our reason. While we often judge other human minds (as when we say, for example, that someone’s mind is not a keen as it should be), we do not judge truth. If truth and the human mind were equal, truth could not be eternal and immutable since the human mind is finite, mutable, and subject to error. Therefore, truth must transcend human reason; truth must be superior to any individual human mind as well as to the sum total of human minds. From this it follows that there must be a mind higher than the human mind in which truth resides. 6. “Truth is God.” There must be an ontological ground for truth. But the ground of truth cannot be anything perishable or contingent. Since truth is eternal and immutable, it must exist in an eternal Mind. And since only God possesses these attributes, God must be truth. Therefore, When human beings know truth, we also know something of God’s nature. There is a sense in which all knowledge is a knowledge of God. This entry was posted on July 2, 2013 at 12:15 pm and is filed under Gordon Clark. You can subscribe via RSS 2.0 feed to this post's comments. You can comment below, or link to this permanent URL from your own site. This argument, as ALL theistic arguments, “proves,” if it does indeed do that, only the existence of a god of some sort. The one true and living God, the Triune God, is revealed in Scripture alone and cannot be proved by arguments independent of Scripture. The “supreme being” proved in the argument may be called G-O-D, but if “it” is not the Trinity it is an arbitrary name only. Excerpt From: Clark, Gordon. “God’s Hammer: The Bible and Its Critics (Gordon Clark).” The Trinity Foundation. iBooks. He is assuming the biblical definition of God when he makes his argument. One of the hidden premises in this is the definition of God. Christ’s claim “I am… the truth…” is a claim of deity. This is a very interesting post. Nash is attributing to Clark what can only be called an “ontological” argument for God’s existence. Clark would have rejected that view as the “rationalist” failure. Reason can never lead to the truth. Clark’s starting point Scripture and, therefore, all we know about God is deduced from Scripture, not reason apart from Scripture. Scripture, being a rational revelation, allows us to make deductions about truth, logic, and God. It is therefore the logic embedded in Scripture that tells us that man is the image of God, i.e. the rational soul is the image and likeness of God, who is a spiritual Being. I don’t disagree that Clark made the above deductions but I would argue that Clark starts with Scripture, not the ontological argument. The three classical arguments for God’s existence all fail, although AFTER we accept the axiom of Scripture the arguments can make sense to the Christ but only as presuppositions, not as logical proofs for God’s existence. Not sure why you think the above is a form of the ontological argument, other than the word is present. I don’t see anything that even approximates the idea that God is a being than which no greater can be conceived. Check out A Christian View starting on page 318 under “A Theistic World.” I think Nash does an excellent job delineating Clark’s argument there. These arguments, at best, show that a Christian is not talking nonsense when they believe and talk about the God of scripture. They are ad hominem. I consider them a demonstration of the rationality and coherence of belief in God. However, the God of scripture has to reveal Himself and make Himself known to the sinner. Denying the truth is self refuting. The skeptic says “There is no truth.” But this proposition has to be true for the skeptic to register his point, which the skeptic intends to deny. When the God of scripture says he is truth, this is neither a nonsense proposition nor a metaphor, but literal. Truth is the first principle. Epistemic logic condemns the unbeliever who denies the God of scripture. There is a less popular result from epistemic logic called Fitch’s Paradox of Knowability(http://plato.stanford.edu/entries/fitch-paradox/). It says, if all truths are knowable in principle then all truths are in fact known. This is a demonstration of omniscience which I as a Christian ascribe to the God of scripture. The unbeliever calls it a paradox because he denies the God of scripture who is all truth. Clark does not begin with reason. He begins with Scripture and then deduces everything from that axiom. That’s where Nash’s analysis fails. Nash nowhere even mentions Scripture in that passage. I haven’t read the book in question so I cannot say if he mentions Clark’s view in greater detail elsewhere. Logic is embedded in Scripture and we deduce that the architecture of God’s mind is logical from the rational revelation we have in Scripture. We do not deduce God’s rationality from our own rationality. Quite the opposite. We deduce that man is the image and likeness of God from the fact that God reveals Himself in Scripture as rational and logical. God’s image is Logic. (John 1:1; Hebrews 1:1-3). Special Divine Revelation as Rational The handiwork and the glory of God displayed by the heavens and the firmament have been called general divine revelation. In this category one may also include the constitution of human personality, for man himself is a creation of God and in some sense bears the marks of his Creator. This “light of nature, and the works of creation and providence, do so far manifest the goodness, wisdom, and power of God, as to leave men inexcusable; yet they are not sufficient to give that knowledge of God, and of his will, which is necessary unto salvation.” It is thus that the Westminster Confession briefly warns us that general revelation is inadequate. This inadequacy is partly a result of the noetic effects of sin, but there is a prior and inherent inadequacy as well. Inadequacy of General Revelation The beclouding effects of sin upon the mind as it tries to discover God and salvation in nature may best be seen in the divergent results obtained among the pagan religions. The ancient Babylonians, Egyptians, and Romans looked on the same nature that is seen by the modern Muslim, Hindu, and Buddhist. But the messages that they purport to receive are considerably different. This, which is so evident when these faraway religions are mentioned, holds true also within Western civilization. What the humanist and logical positivist see in nature is entirely different from what the orthodox Christian believes about nature. Even if the humanist professes to discover in experience certain moral ideas and spiritual values that are at least superficially similar to those of the Bible, it can well be supposed that he actually learned them from his Christian heritage and not from an independent study of nature and man. The kindly atmosphere of humanitarianism is notably absent from societies to which the Christian message has not been taken. The existence of divergent concepts of God, of moral ideals, and above all, of schemes of salvation, show the power of sin in the mind of man; but they also show the inherent inadequacy of general revelation. Gordon Clark (2011-07-02T18:48:21+00:00). God’s Hammer: The Bible and Its Critics (Gordon Clark) (Kindle Locations 1191-1208). The Trinity Foundation. Kindle Edition. @Charlie. Fair enough. However, I do think Nash presents a very fair summary of Clark’s points in the section from A Christian View I cite above. FWIW I agree with Denson and that Clark’s argument is not so much a proof (although the conclusion does follow from the premises) as it is an ad hominem argument. Absolute truth depends on logic and since God IS logic, there is no higher truth than God himself. This is a form of the ontological argument. HOWEVER, Clark NEVER bases his theology on reason or rationalism per se. He presupposes the AXIOM: Scripture ALONE is the Word of God. Unless we begin with Scripture EVEN claiming that God IS Truth or Truth IS God is a meaningless statement which begs the question. Only by beginning with Scripture do we have a basis for deducing truths about God. God must be truth because Scripture says He is. Sola Scriptura. WCF Chapter 1:1. Also, for what it’s worth, I have been reading the KJV since I was 8. The plain meaning of the Scriptures refutes Pentecostalism and all other irrational and experiential religion. I don’t know how I got caught up in that junk. I was seriously confused when I read Louis Berkhof’s Systematic theology and discovered the doctrine of “common grace” and the “free offer” there. It sounded like Arminianism to me. The Van Tilian theology of paradox is confusing because it is itself confused. It was like turning on a light bulb in my brain when I discovered Gordon H. Clark’s Scripturalism. Forgive the analogy:) While I prefer to work things out for myself, I do appreciate your blog and the Trinity Foundation. I’ve been walking and listening to Robbins’ and Clark’s lectures for some time now. I think the bottom line is that even a plow boy can read the Bible and understand the plain texts. The perspecuity of Scripture is a non-negotiable doctrine. Also, I had Dr. Jerry Walls for Christian philosophy class when I was a student at Asbury. Walls studied under Alvin Plantinga at Notre Dame. Walls gave us an overview of foundationalism. Foundationalism is really just a complicated rehash of the ontological argument, in my opinion. And it took me awhile to connect the dots, but Jerry Walls’ critique of compatibilism and advocacy for libertarian free will comes straight of Plantinga’s own views. For that reason, I think Plantinga is more in line with Rome than with Geneva. It should not be a surprise that Arminians think papists are great. Plantinga is supposed to have come from a Dutch Reformed background I think. Unfortunately, it must have been a liberal one–pelagian. If you think Westminster Seminary PA is bad, you ought to check out the so-called “Evangelical” Wesleyan seminaries. They are worse. Ironically, Asbury was established in reaction to modernism in the 1920s. As far as I can tell, the seminary is now blatantly neo-orthodox. Yes. The Van Tilians like to trot out the so-called TAG (transcendental argument for the existence of God) and praise CVT as some ground breaking apologist originating its use in presuppositionalism. But TAG’s like all theistic arguments are only as good as their ad hominem success. Meet an educated unbeliever and they’ll emasculate the argument; “god” is not GOD. The one true and living God of the Bible cannot be proved by argument and demands that his Word be believed as the presupposition of all arguments, indeed, as the beginning of all thought. I’m open to criticism here since I’m no expert on these things. But after reading Clark, Van Til, and many others I’m convinced Clarkian presuppositionalism is the ONLY method that is Biblical, and all theistic arguments fail. 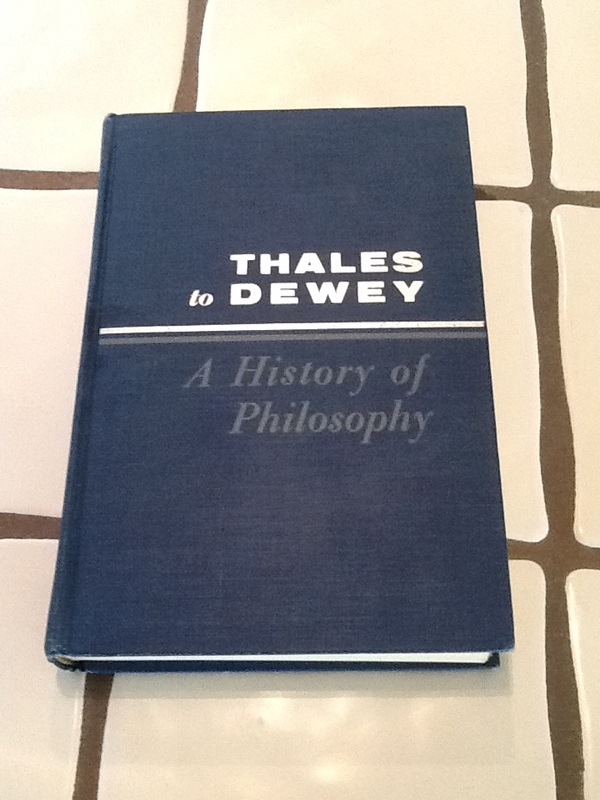 I didn’t know where else to post this but I had to share that I just got an autographed copy of Thales to Dewey last night at church. 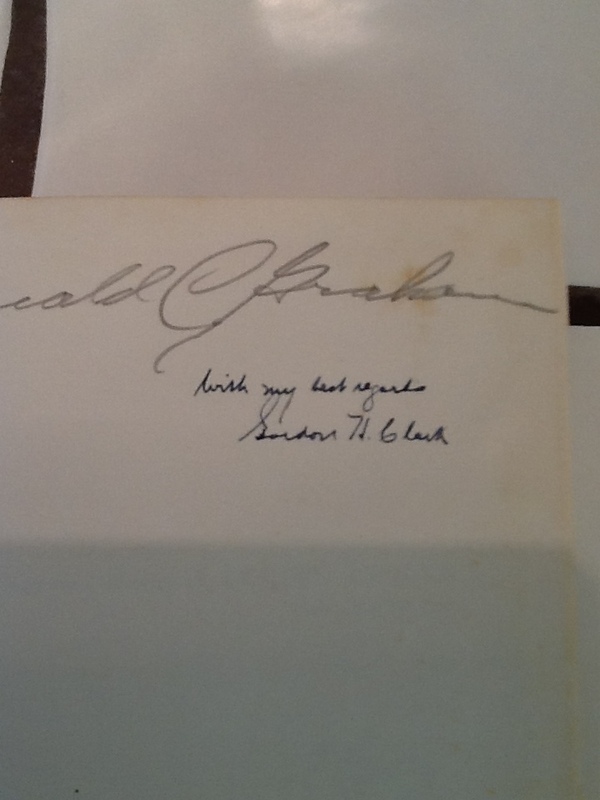 GHC signed it in 1957. A kid I’m friends with bought it on Amazon and when I saw it was signed by GHC I made him an offer he couldn’t refuse. Hey, I just thought, it’s got Clark’s DNA on it, right? I wonder if I cut the signature out and put it under my tongue I’ll get smarter? Will do. I’ll take a pic tonight. I tried to put a link to the pics of Clark’s book from my iPad. It says its awaiting moderation. The pics are jpeg … whatever that means.